The digital revolution aided by the proliferation of smartphones (560.01 million internet users) and data affordability has pushed brands towards either mobile optimization of websites, or the design of native apps to engage target audiences. While native apps provide a superior experience, brands outside the top 20 of their category in the app store question spending the required amount of money and time to build, manage, and sustain them. Let us understand the merits and demerits of both native apps and the emerging progressive web apps to conclude which of the two fares better. Native apps have been the go-to format since the last decade. Given that they are developed for both iOS as well as Android, they work optimally for all kinds of devices. The advantages of native apps begin with the fact that their load times are unmatched. In addition, they can access mobile functions like Bluetooth, camera, calendar, GPS, contact list, microphone, flashlight etc. Their high performance and functionality essentially allow them to include robust features while delivering a richer consumer experience. In addition, native apps are clear leaders in terms of providing push notifications on both iOS and Android to leverage user engagement. The drawbacks of native apps, on the other hand, begin with the fact that it requires accommodating ‘native’ programming language for both iOS and Android. Hence, designers must create a coded version for each platform, which requires the investment of more time and money to develop. Hence, some brands only have the resources to design a native app for either Android or iOS platforms. In addition, updating native apps is a more laborious task. Native apps are also known to drain the battery and storage of mobile devices, but this can be curbed by efficient coding. Progressive Web Apps (PWA) are the midway between mobile websites and native apps, which is accessed from a web browser such as Chrome, Firefox, and Safari among others rather than app stores. Their content can be further downloaded and pinned to a mobile’s home screen while browsing. PWAs are a cost-effective approach since they are developed only once for both android as well as iOS. Considering they are accessed via browsers, companies are not required to submit them on app stores. This creates several other advantages as content is accessed faster (directly via URL); it uses only a small portion of phone storage and battery; and offers easy sharing via URL. In addition, since PWAs are essentially websites, they can be optimized for search engines as the latest Google algorithm particularly values PWAs. As a result, they are likelier to rank among the first search results and gain recognition. Furthermore, they do not require any updates unlike native apps, wherein users merely have to click the link to PWAs. However, the drawbacks of PWAs are that they do not offer the high quality of interface and user experience (UX/UI Design) that native apps provide. PWAs are not only limited in this respect, but also require an active internet connection always to deliver content. In addition, they fail to access several mobile features. While push notifications are supported on Android, they are limited to browsers such as Chrome, Firefox, Opera, and Safari, and completely unavailable for iOS devices. A case can therefore be made for each of the two, as the advantages of one mirrors the disadvantage of the other. Companies must therefore weigh the above factors and arrive at a conclusion by keeping user behavior in mind. Furthermore, the cost of investment becomes another major consideration while time becomes the next hurdle. Development can take several months depending on the depth and robust features of app. 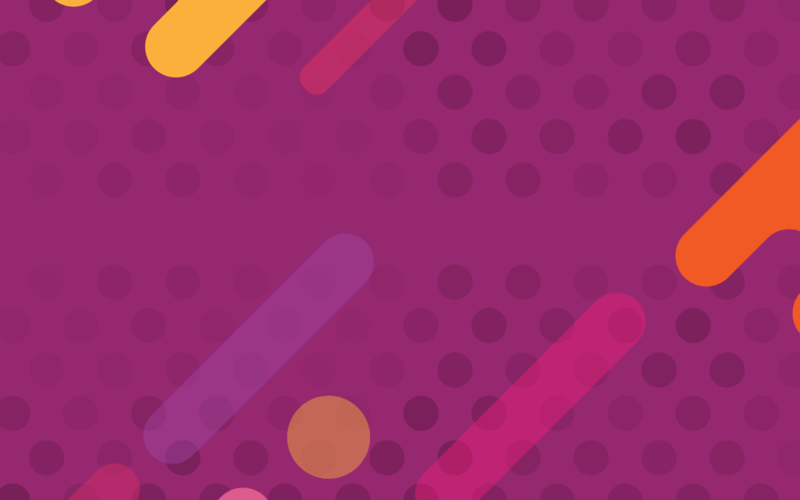 The design of native apps can cause a lot of back and forth, and delay the launch, while PWAs can be brought to the market in a shorter period of time. With user behavior, cost, and time, the final consideration comes in the form of app use. For instance, if the app plan is simple and straightforward, then PWAs are the way ahead. On the other hand, businesses wishing to offer many features require native apps for faster and smoother functioning. Having said that, these choices may change as time passes considering PWAs are still in their nascent stage. 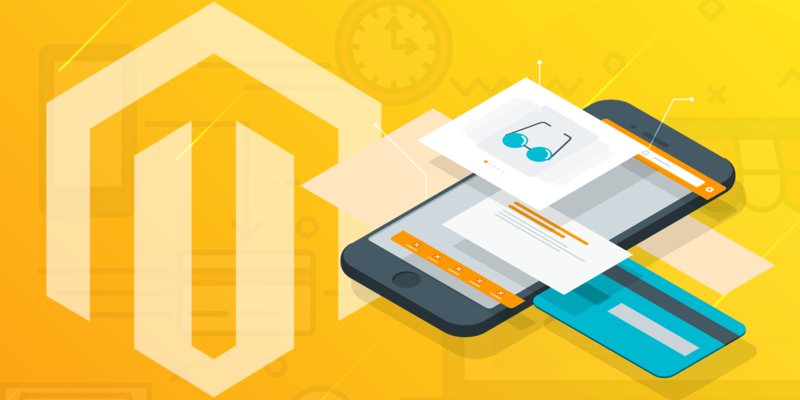 As of now, companies will have to first establish their user behavior, budget, deadlines, and app objectives and thereby decide whether native apps or PWAs match these considerations. They may also opt for both, depending on the same. A dilemma won’t arise if companies have clarity on their objectives, and hence both native and progressive website apps have the power to leverage their brand recognition. eCommerce have completely changed the paradigm of how people shop in today's world. People are connected all the time and technologies also shape the way people communicate, especially when it comes to eCommerce. People become ambassadors themselves for brands that deliver timely and personalized communications through any digital channel. The customer journey starts even before they visit any eCommerce website. They may either express interest on your product by commenting in any of the social forums or by sending inquiry directly. Converting these prospects is seen as a critical element to any online site and this is where a Customer Rleationship Management or CRM will be of great help. Customer relationship management (CRM) is an approach to manage and analyze customer interactions and data throughout the customer lifecycle. It usually refers to the practices, strategies and technologies that companies use to enhance the customer's overall experience. As per SalesForce, CRM or Customer Relationship Management is a strategy for managing an organisation's relationships and interactions with customers and potential customers. A CRM system helps companies stay connected to customers, streamline processes, and improve profitability. In today's world, CRM solutions have cemented their need as a useful post sales tool for businesses to connect with their customers, determine cusotmer preferences, and understand their expectations. The best way for a company to build strong relationships with their customers is to build up customer loyalty. 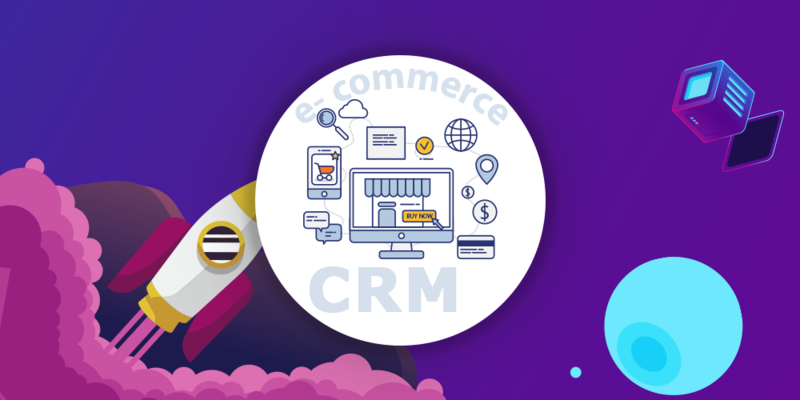 A CRM for eCommerce will enable you to get to know your customers, to better understand the decisions they make, to tailor to their preferences, and tie all your marketing together seamlessly. CRM system can also give customer facing staff detailed information on customer’s personal information, purchase history, buying preferences and concerns. CRM helps the brands or companies to create long-term customer loyalty and profitability by serving every customer as an individual. In today’s competitive marketplace, customer relationship management is critical to a company’s profitability and long term success. Information technology (IT) has been all pervasive and industries have been compelled to adopt it. This is not only because their competition is doing so but because it introduces efficiencies, reduces costs, improves quality as well as service level. 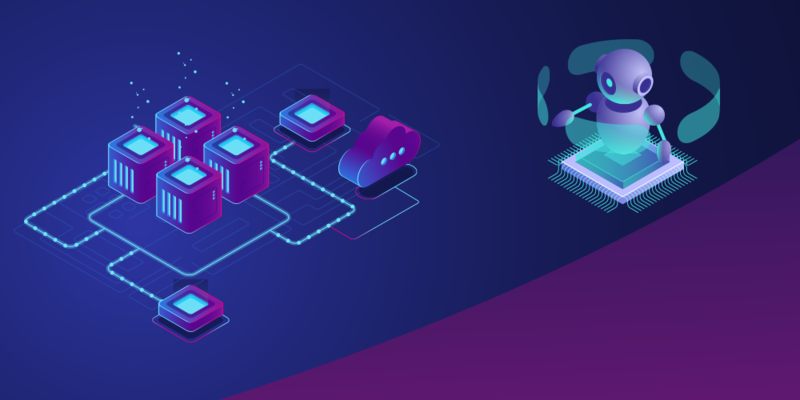 However, such adoption has been in silos, with organizations proceeding cautiously, taking one step at a time to keep their costs low and implement solutions only for business-critical areas. While this has enabled them to see some success, the disparate processes and technologies have also limited the benefits to specific departments by introducing efficiencies only within their operational areas. Organizations neither have a holistic view of the process across functions, nor are they able to seamlessly integrate operations for greater visibility and collaboration. New generation entrepreneurs, on the other hand, are racing ahead of, or at least catching up with, established businesses by leveraging the power of digital transformation. This is empowering them to introduce disruptive solutions, question the status quo, innovate as well as face failures with greater equanimity, rising again to meet new challenges with greater insights. There are two forces fuelling digital transformation – one is, of course, the availability of enablers. However, the other is the ground reality that most organizations are still struggling with maintaining legacy systems, with about 72% of IT budgets being spent on existing IT concerns, and only 28% for new projects and innovation, according to a Forrester study. This is a big hurdle to growth and requires them to adopt agile business principles. Digital transformation, which is powering the new age enterprises, is all about automating operations, facilitating collaboration between people and creating new business models by leveraging a variety of new age technologies. This has effected fundamental changes in the way businesses operate and deliver value to customers. Product and process innovations because of digitization of assets using cutting edge technologies have helped improve customer experience, operational agility, culture and leadership, workforce enablement, and digital technology integration. According to an IDC report, spending on technologies and services that enable digital transformation will reach $1.97 trillion in 2022, at a five-year CAGR of 16.7% from 2017. The nine technologies driving digital transformation include the following. Businesses are generating volumes of data in multiple formats that need to be stored in a retrievable format to create meaningful business strategies. Big Data technologies can handle the four Vs: Volume, Velocity, Variety and Veracity which legacy solutions and technologies cannot. The data needs to be presented in a way that managers can easily understand to be able to take meaningful decisions for improving performance. The same data can be used by other functions differently but require solutions to be able to flexibly present them. Real-time reporting and advanced analytics tools are enabling not just interpretation of data for today but also predicting future trends for long-term strategy and decision support. Cloud has had a big role to play in lowering infrastructure cost and freeing up resources to focus on core business competencies. The growth in smartphones has enabled accessing information and products and services right at the fingertips. Mobile-ready apps have become mandatory for businesses to be able to tap the market more effectively. While it may seem as a way for people to remain connected with their friends and relatives, social media has become a means of spreading positive and negative views about businesses as well. A great influencer, businesses cannot ignore the social media and need listening tools to garner opinions and views and plan their strategies accordingly. Embedded chips are fast becoming productivity tools as they improve user experience and keep people connected through wireless networks to their offices and homes. Healthcare is one area where this technology has proved to be very useful in remote monitoring of patients as well as self-monitoring of important health parameters. This is another productivity tool that not only helps automate processes, but also introduces efficiencies in automation as well. This technology is playing a key role in disruption and innovation as even non-IT fields are benefiting from AR technologies to provide customer delight and enhance experience. They are freeing up resources by automating customer service and handling first level of queries, thereby improving service experience. The increase in connectedness also increases the risks of cyber-attacks. Security solutions are become more proactive and reactive, ensuring safer systems. Gamification, virtual reality, document management systems are amongst some of the other technology solutions that are enabling digital transformation. It is a matter of survival and growth where mere brand name or money power will not be enough to sustain a business anymore. Digital transformation that enhances user experience will be central to all business strategies, and it will be enabled by adopting the right technologies in a timely manner to stay ahead in the game. Customer Relationship Management (CRM) has become the heart of growing businesses today as a strong bond between brands and their customers dictates service, retention, and sales. It has become crucial in establishing organic and lasting brand-customer relationships. Companies are therefore increasingly integrating CRM software to allow full automation and unify both marketing and sales processes. Though companies like Microsoft, SAP, Oracle, and Adobe are providing efficient CRM platforms for the business world, Salesforce has remained the undisputed industry leader. Their cloud-delivered product suites provide elemental functionalities including contact management, sales, marketing, and employee-tracking solutions benefitting small and large companies alike. Salesforce’s Artificial Intelligence (AI) solution called Einstein offers more productivity in terms of providing lead scoring (based on history and past deals); opportunity insights (customer sentiment, competitor involvement, overall prospect engagement); account insights (customers’ latest news, M&A activity, company expansion updates), and automated contacts (mail and calendar event analysis). Einstein also enables prediction of marketing journeys wherein AI helps deliver suitable and relevant content to target audiences, on the right channels, at opportune times. It helps convert more anonymous web visitors while recommending the next best product, content, or offering at an accelerated rate on any channel. Its scoring feature predicts consumer engagement in emails or company websites and offers insights such as consumer clicks or purchase. Apart from recognizing customer impressions, their Einstein Image Classification feature goes one step further in recognizing logos, objects, food, and scenes in social media posts to discover new insights regarding a brand; where and how certain products are being used even if keywords or brand name remain unmentioned. Considering that consumers are increasingly purchasing and receiving information on mobile devices, Salesforce has introduced a mobile app for companies to ensure mobile-first CRM. They are in turn able to improve decision times and forecast accuracy on sales, marketing, service, and business performance with the app’s dashboards and custom reports. It allows management of leads, contacts, account details, and opportunities on a mobile device while initiating instant collaborations with the company team. The mobile app is also customizable allowing companies to customize actions based on their needs. It allows for adding brand color and logo directly to the loading page, header, buttons, and search bar as well. Salesforce is a one-stop-shop solution for businesses to transform their digital operations. For instance, their offerings include Sales, Service, Marketing, and Community Cloud that are all accessible and fast to put customers at the nucleus of business processes. In addition, their solutions are categorized depending on the features of each business including type (startup, nonprofit, small business); role (sales, service, marketing, IT); need (productivity, AI, mobility, collaboration); and industry. In other words, they ensure personalized digital solutions regardless of the nature of each business. Considering the current unprecedented pace of modern business, each company must keep up with the fleeting shifts in the digital market. 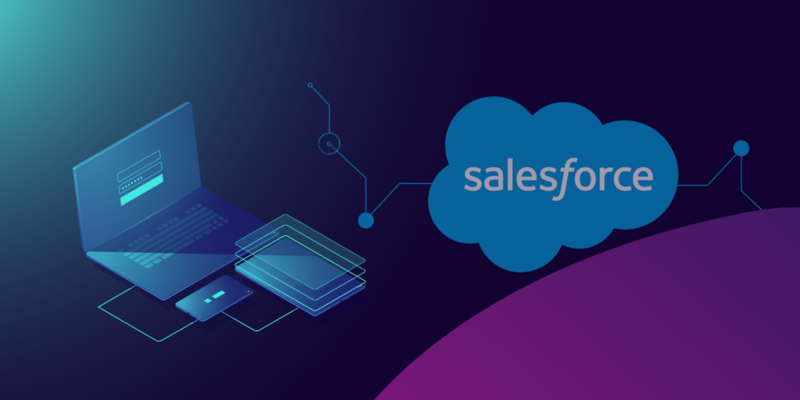 Integrating Salesforce solutions can help businesses advance their marketing and sales strategies with the help of its excellent support and developer ecosystem. 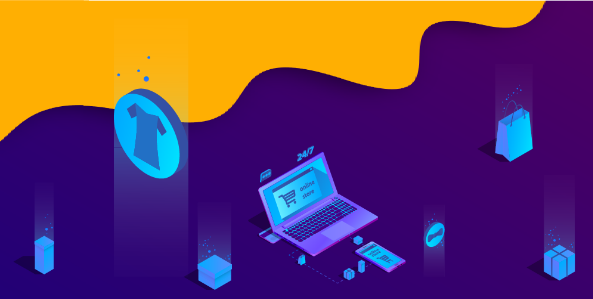 The integration of ecommerce in consumerism has been seamless and exponential in the past few years, having transformed the manner in which worldwide business is conducted today. The Indian ecommerce sector has also seen tremendous surge. The digital revolution aided by proliferation of smartphones (560.01 million internet users), affordable data (120 million online shoppers), personal disposable incomes (29.8 million credit card holders), consolidation of industry players, and government initiatives such as Digital India, Start Up India, and Digital Udaan have all cohesively contributed to its growth2. In addition, the country’s ecommerce revenue is expected to catapult from $39 billion in 2017 to $120 billion in 2020 growing at an annual rate of 51% as per IBEF. The Indian consumer is in turn presented with a plethora of domestic and international products delivered at their doorsteps, allowing businesses to flourish like never before. Hence, it becomes interesting to observe the current shape of the Indian ecommerce sector including areas which may be further moulded in 2019. According to an IBEF November 2018 infographic, there are about 1.2 million transactions per day in ecommerce retailing, of which 48% comprise electronic goods. Another 29% consists of Apparels. Hence, these two categories are expected to continue dominating Indian ecommerce this year as well. In addition, the increasing investment in ecommerce firms due to the rise in digital literacy is allowing new players to enter the market. Private and venture capital deals are deduced to increase. About 40 deals worth $1.12 billion were completed in the first half of 2018, nearly double the number of the deals completed in the entirety of 2017. These numbers are expected to rise in 2019. E-commerce companies are increasingly offering subscription-based offerings to consumers wherein they receive certain extra benefits or tailored services. For instance, Amazon Prime, Amazon’s subscription service allows subscribers to avail early access to selected deals and free one-day delivery among other benefits. While some ecommerce platforms have already begun similar subscription models of their own, others are also envisaging to provide similar options to their consumers. The rural Indian population was estimated at 906 million as per Census 2011. However, merely 173.42 million of them were internet users as of June 2018. Online retailers are therefore opining that the vernacular segment will be a new growth driver even as internet penetration is expected to grow as high as 45% by 2021, compared to the current rate of 18%. 3 Flipkart had already begun converting speech to text in 10 Indian languages in collaboration with an artificial intelligence company called Liv.ai. Other ecommerce players are expected to follow suit in order to diverge their target audiences to attract the vernacular segment. Another firm called Reverie Language Technologies is on the verge of raising $20 million in its quest to create language equality in the Indian digital realm. Industry players are leveraging certain ancillary services aligned with their products and services. Some examples include introducing their own payment gateways (Flipkart’s Payzippy), e-wallets (Amazon’s Pay Balance), and even payment banks such as the those of Paytm and Airtel. These services are contributing to cashless transactions in the sector. A net addition of nearly 140 million debit cards has been recorded since the past few years4, while UPI transactions in India crossed 620 million in December 20185. In addition, according to a report by Google India and BCG, digital consumer spending in India is expected to increase by two-fold crossing $100 billion by 2020; driven by women and new internet users from Tier II and Tier III cities6. Almost one-third of 3.5 billion searches conducted on Google today consist of voice searches, which will further comprise half of all searches within the next two years7. AI-enabled voice assistants like Alexa (Amazon), Siri (Apple), and Google Personal Assistant are the major contributors to this shift from text-based search to voice integrated searches. All these developments will push ecommerce companies to adopt similar or even better content marketing strategies. With each passing year, the ecommerce sector in India is assuming a more definitive shape. It then becomes critical for businesses to sharpen their strategies and align with these focal points. As the lines between the offline and online world continue to blur, the need of the hour is for both older and emerging brands to enter the world of ecommerce with strategies that place them a cut above the rest. DevOps, collaboration between developers and other IT professionals, attempts to bring development, testing and operations working together. This is a new culture that ensures smooth running of applications with minimal glitch. With increasing usage of cloud based applications, organizations are challenged to respond quickly to issues or requests coming from users. While this can be a strain on functional teams, DevOps can be used to solve this problem where development team supports operational team in deployment, testing etc and operational team supports development team before and after the development stage. Let's be honest that there is no definitive answer on this. It's an evolving movement where emphasis is given on collaboration and communication between developers and operations. This will help companies to build and deploy applications multiple times a day with a low failure rate. It is all about handling change faster, better and cheaper. Incorporating DevOps practices benefits the companies in multiple ways. This ensures collaboration between multiple stakeholders as it will lead to a team of people from different functions. More companies are recognizing the need for developing effective strategies to continuously deploy applications quickly and seamlessly while resolving operational issues fastly. This will ensure applications are stable and reliable. Organizations that have embraced DevOps get more time to growing the business that contributes to the bottom line. The world of eCommerce continues to evolve at a rapid pace and 2016 will be the the year where one can get to see a lot of new trends that can transform the way people do shopping. Gartner predicts that “by 2017, U.S. customers’ mobile engagement behavior will drive mobile commerce revenue in the U.S. to 50% of U.S. digital commerce revenue.” This means that store owners have to build mobile applications that offers great shopping experiences for the customers. Gone are the days where people used to rely on websites to fulfill their buying needs. If the last couple of years have witnessed customers adapting to smartphones for their purchases, this year onward one will witness a growing usage of tablets for purchases. This will also pose a challenge to the store owners to provide a unique experience to the customers irrespective of the device they connect with. Mobile payment method is touted as one of the “Next Big Thing” in eCommerce as mobile traffic continues to out-beat traffic from desktops from the previous years. Companies like Apple and Google are readying their strategies around mobile payment methods to ensure that they get the best out of this change in consumer behavior. This is another area which is supposed to pick up as we drive through 2016 as shoppers are more worried on the quality levels of after sales customer service provided by the online sites. We expect the site owners to adequately staff the online store the same way they staff their offline stores. Every one knows the importance of providing unique content and this year will be no different from the previous ones. A huge demand from customers to know more about the product will drive the need to create content that can be consumed easily in the form of Videos. As we are all living in a world that is well-informed, anything that does not live up to the expectations of the customers will boomerang to the brands and stores. Since customers are spoilt for choices the comforts in the form of convenience and security play a huge role in retaining them. The future belongs to the retailers who engage them by providing value, thereby earning their trust. How to bring bring qualified traffic to the website is the biggest question an eCommerce company should be worrying with these days. Understanding what customers do when they land to the site is the crucial step that leads to to quick conversions. This is where a good analytics tool will be of great help to understand the site behaviour metrics clearly. In the market there are lot of analytics tool that are paid and free. If you are looking at a free but an effective tool, the answer can be found in Google Analytics. So what exactly is Google Analytics? In simple terms, it is a web-based platform which allows you to collect data about the visitors to your website. Google Analytics can be a great tool for monitoring and tracking the efficiency of your campaigns and get the right results in your marketing efforts. Using the insights, one can make meaningful marketing and website changes to tailor to the shoppers needs. From a business standpoint, one can gain clear insight to the website traffic. This data can be useful when doing content marketing. It will help the company find out the habits of the target audience, and develop a strategy for website optimization. Google Analytics is split into four key areas; Audience (who is visiting your site), Acquisition (how they are getting to your site), Behaviour (what they are doing on your site) and Conversions (have they completed what you wanted them to), each of which is useful for difference purposes. With eCommerce business being data driven, one can make so much of the numbers if they work out what individual items mean and what actions will be most beneficial to the business. By knowing where the money comes from, businesses can decide where best to invest and grow the strategically. The sudden rise and acceptance of eCommerce websites has given a new way of convenience for consumers. However, eCommerce websites bring with them a lot of challenges related to SEO that can kill any hopes of being found in organic search. Choose an URL naming structure that is closely aligned with your keyword and business strategy. Also,please take extra care in making your URLs more concise and descriptive as it will have a direct impact on the SEO results. Choosing the right keywords that suits your business in right mantra for your site’s SEO success. By properly using resources like the Google Keyword Planner you can get to validate the popularity of those keywords you select. Then, use your keywords across your site’s content – in URLs, product descriptions, landing pages, and meta-data etc. Components like headline, especially H1 and H2 tags and title tag are applicable to get you a good ranking. Keywords are again necessary throughout with proper meaning, correct grammar, and descriptive text. Make your main pages well optimized for speed as otherwise you may feel your rankings sink. Make use of Google’s speed optimization techniques to optimize your site both in desktop as well as in mobile devices. The better the load time, the better the conversion! Content that’s not unique anywhere on your site is considered a major no-no by search engines, and this will negatively impact your ranking. So write a polished content and descriptions for the products which you sell that are unique and concise. Also ensure that the right keywords are used to get noticed by the bots. Choose wisely when building your inbound and outbound links. Thumb rule should be going in for a higher page rank site listing that can get you quality referrals than a site with a lesser page rank. Also, look for sites that are related to the business you are into so as to get quality back links. Use Google Analytics to understand where your site is performing or failing, and addressing these issues efficiently, can actually help you increase your ranking. Make sure you have correctly implemented Google Analytics features that are made for eCommerce websites. The better your analytics help you to convert customers, the more search engines will reward you as well. While these are some of the effective techniques that one should do for eCommerce sites, you also have to keep an eye on your competitors SEO techniques as they may be implementing some better ideas. SEO in eCommerce is challenging, but it can get you a high level of success if implemented and analyzed properly. 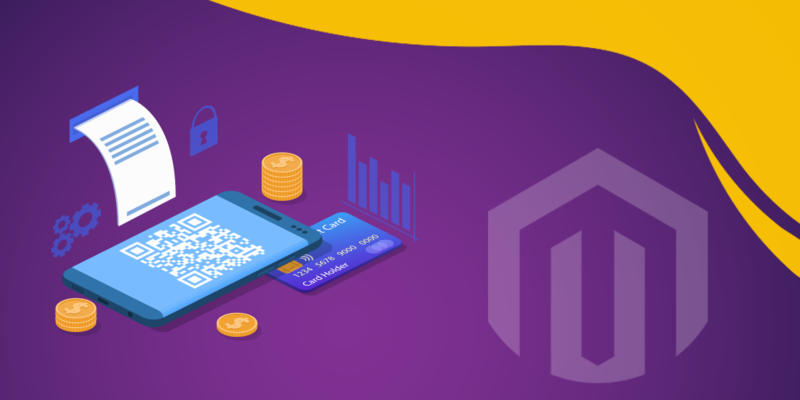 The world of digital commerce continues to evolve at a rapid pace and the year 2014 will be seeing lot of attention paid by eCommerce companies for making their presence felt in the changing digital landscape. With the use of smart devices on the rise for online shopping, online businesses will be able to provide their shoppers with a customized user experience. Allowing customers to save favorite products, a smooth checkout process and recommendations based on browsing habits are going to set the bar for customer expectations. This is one of the hot things for eCommerce in 2014. Mobile Commerce is sweeping the industry and shoppers will expect a seamless mobile shopping experience. Small businesses need to make sure their sites are optimized so that customers can view them on any type of handheld mobile device. Seamless browsing, saving, and shopping across platforms will be crucial for any business that wants to grow in 2014. Social media networks including Facebook, Twitter, YouTube and Google+ are expected to make a stronger impact on search engine rankings in the near future for eCommerce companies. Time has come to all eCommerce companies, irrespective of sizes, to embrace digital marketing to get that extra sales. We at Nexia Commerce, gives more stress towards creating eCommerce Solutions by considering all of the trends listed so as to make a brand successful in the digital commerce space. Good design is not just what looks good. It also needs to perform, convert and fulfill its purpose. It can be innovative or it might just get the job done. No matter the amount of money spent on Search Marketing, Social Media, and other marketing activities, if a website does not follow the above tips then it is doomed to failure from the start. The biggest Marketing tool is word of mouth and a good UI & UX facilitates this and helps any entrepreneur to achieve his dream.